For us, it’s not about us, it’s all about you! We are passionate about making a difference in your life by helping you have that financial freedom that you are looking for, with one very big difference – you will have fun getting to that goal that you are dreaming about! Let’s face it, we all work hard but just working hard won’t get you to that new car, house, holiday or paying the college fees. You need to have passion and fun as well, because - that is the driving force to success! That’s where we come in. Full support, to help you succeed. Amazing products that will make your customers go “Wow!” and come back for more! Complete kit to display your amazing products and showcase you as the successful, professional MexZotic representative that you are. No worrying about postage, handling and delivery of your products to your customers. We take care of that for you! Quick & Easy online ordering to top-up your stock, or just buy a piece for yourself! Stunning, Genuine solid Mexican designed Silver Jewelry at a faction of the standard retail cost (no middle man). Training and Sales & Marketing tools to help you become a MexZotic Star and make your dreams, a reality! Harry Robinson is our CEO and Founder of MexZotic. It is his passion to see you succeed, that is the driving force behind this worldwide company. His dream - to create a business that everyone who is involved with MexZotic be proud to call as their own, have fun and achieve the financial success that gives you the freedom to choose how you spend your life. Harry’s previous companies (pre-internet popularity) have expanded into 3 continents around the globe, seeing him employ 100’s of people. He currently splits his time between his Australian office and his export office in Rosarito, Mexico so that he can keep an eye on the quality control, sourcing new and exciting jewelry artisans, and the efficiency and cost control of the shipping and handling of your products. 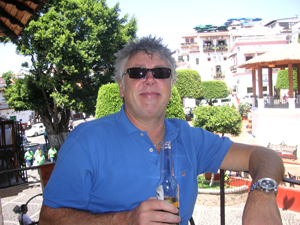 Harry also travels to Taxco regularly to meet with our manufactures, to seek out and approve new product lines, negotiate our Members pricing and discount structure, to secure monthly specials and simply to check on all the operational procedures of the company. Unlike most CEO’s of Companies, Harry’s “Open-Door” policy makes him accessible – he is only ever an email or phone call away if you need assistance. To him, it’s all about partnership, working together, to achieve your dream and make it a reality. His philosophy is, your success is MexZotic’s success! “Welcome to MexZotic and thank you for sharing my vision, my passion and my dream. I look forward to hearing from you and please feel free to contact me with any ideas or questions. I hope you share many years of pleasure and financial rewards with us”. “Often in life we dream of the things we would like to do or to have. Our intentions to achieve them can sometime get lost in “Some-Day I will have……” and as the years fly by those dreams become “If only I had enough time or money then I could have……(fill in the blanks)” just a wish and then disappointment. What I have learned in life is that “Some-Day” doesn’t exist on a calendar, to mark the day when you will have what you want. Some-Day is today, the day when you make the decision to turn your life around and have you in control and not allow everything that is going on in your life to dictate what you can and can’t have in life. Cheers to You, Your Journey and Your Success!